You might have gotten through the Terrible Twos, but older children can still have emotional outbursts or throw down a good tantrum. Often these are the result of some big emotions and an inability to self-regulate them. Having emotions is okay but hurting people is not. Make sure there are clear guidelines on what is appropriate behaviour for your child, even during difficult times. Make it clear that hurting others or breaking items isn’t acceptable, no matter what the circumstances. When emotions are taking over, get your child to count to ten before taking any action. It gives them some time to cool down before things get out of hand. It can also help you to have a moment to create composure and make sure you deal with the event calmly too. In the same way that counting gives your child some time to calm down, breathing slowly can help to bring some calm back to the situation too. Practice slow, measured breathing during other times as well so your child knows what to do when they’re experiencing difficult emotions. Practice breathing in to the count of four and out to the count of four. It can help connect your child to the feeling of what is happening inside their body and allows them to identify the emotion and how it feels for them. Let your child know it is always okay to ask for help. While you want to set your child up to be able to deal with difficult emotions on their own, they are not always capable. Let them know you are there to help if they come across a situation they feel they can’t deal with on their own. When outbursts do occur, allow your child to take some time out away from everyone else to calm down. Provide books or music in a quiet space where they can re-group. 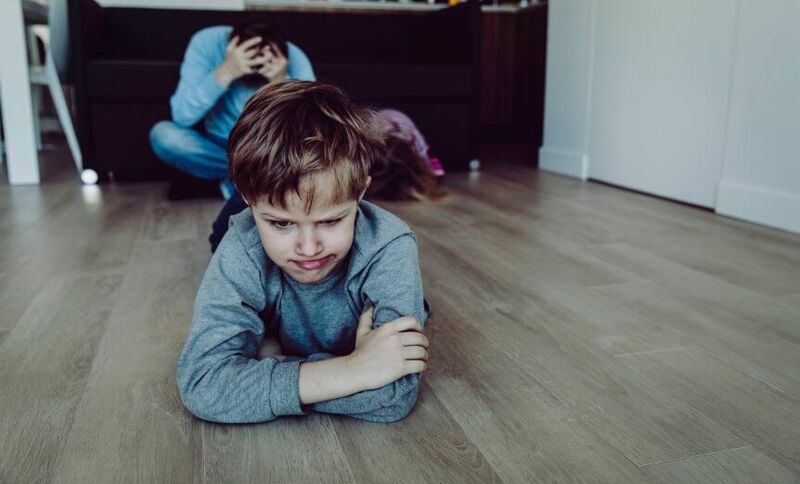 As your child becomes more familiar with the quiet space and how it affects them, you may find they take themselves there before an outburst occurs. Dealing with difficult emotions is tough, especially for kids. Follow these six steps and you’ll be able to help your child deal with their big emotions wherever they occur.